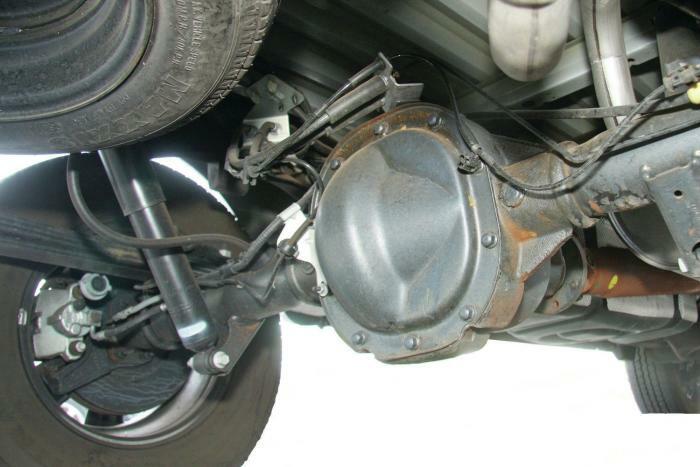 All Ford Rangers came with a 7.5-Inch axle from 1983-1989. In 1990, Ford introduced a 4.0 liter V6 in the Ford Ranger. From 1990-2011, all 4.0L Ford Rangers came equipped with a 8.8-Inch axle, but the Ford 7.5-Inch axle was still available in other Ranger models. 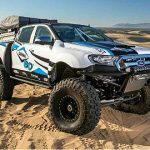 This page only covers the stock Ford Ranger axle specifications. 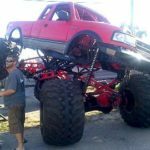 For information on axle swaps, as well as the measurements of the Ford Explorer 8.8-inch rear axle, can be found in the ‘How To’ section. People have asked about the widths of axle shafts to swap shafts from one axle to another. The early 1983-1992 Ranger axles are 1-inch shorter than the 1993-up pieces (Both sides). This means that the entire 7.5-inch Ranger axle assembly from 1993-2011 is 2-inches wider than the 1983-1992 models. 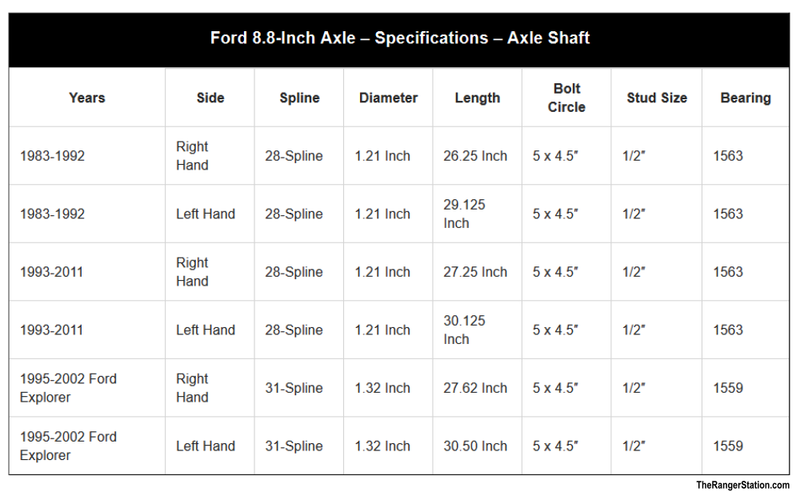 The right side Ford Bronco II axle shaft is 1-5/8″ wider than the 1983-1992 Ranger shaft. All of this additional width is on the passenger side. The drivers side shaft is the same length in either axle assembly. On ALL Ranger/Bronco II’s the drivers side axle shaft is longer than the passenger side. Mustang Note: If you go to a salvage yard, you may find that the left side shafts have been removed from 1983-1992 Rangers and Bronco II’s. These axle shafts are the same length as the axle shafts in the “Fox” (1979-1993) Mustangs EXCEPT that Ranger/bronco II shafts are five-lug and Mustangs are four lug. Ranger/Bronco II shafts are frequently “pillaged” for use in converting a Mustang to five-lug wheels. Fluid Capacity 5 pints (expect to use 2-3 quarts if changing the fluid. More if you have an aftermarket heavy duty cover. 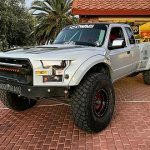 Ford began using the 8.8-Inch axle in Rangers around 1986 on ‘incomplete vehicles’ aka ‘chassis cabs’, but the 8.8-Inch axles didn’t become common in the Ford Rangers until the introduction of the 4.0L V6 in mid-1990. All 4.0L Ford Rangers are equipped with 8.8-Inch axles. 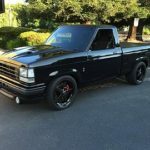 1998-2011 4×4 supercab Rangers regardless of powerplant are frequently equipped with 8.8-Inch axles. We’ve seen a 2001 Ford Ranger 3.0L with a 8.8-inch rear and 4.10 factory gears. 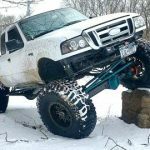 Ford Ranger – The Ford Ranger 8.8-Inch axle used 28-spline shafts. The exception is the 2002 FX4 and 2003-2007 FX4 Level II models which had 31-spline shafts. The 1986-1988 8.8-Inch axles are distinctive as they are the only 8.8-Inch Ranger rears that have no provisions for a RABS sensor (Rear Anti-lock Brake). The FX4 Ranger was introduced in 2002 and always came with 4.10 gears only. The 31-spline Torsen 8.8-inch axle came only with the 2002 FX4 and 2003-up FX4 Level II and more recently was a separate option. The 2003-up FX4 (non-Level II) is essentially the same as the 1998-2002 Off-Road except that a regular Ford limited-slip in a regular 8.8-inch was included. 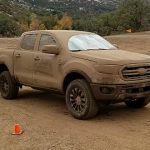 The Ford Ranger 28-spline 8.8-Inch axle tube is 3.00 inches in diameter. The Ford Ranger FX4 31-spline 8.8-Inch axle tube is 3.25 inches in diameter. 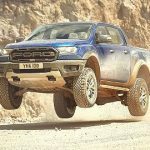 For more information on the Ford Ranger FX4, click HERE. The 2010-2011 Ford Ranger rear axles come with disc brakes. Both axles use (10) bolts to hold on the cover, but there is an obvious difference in their shape. Ford 7.5-Inch rear axle above – Ford 8.8-Inch rear axle below. The axle tag is bolted to the rear differential cover, and is held on with one of the cover bolts. From the example above, you can see that the lower line shows the gear ratio, and axle diameter. So from that example, we can see that the tag above is a 7.5 inch axle with 3.73 gears. The tag above is a 8.8 inch axle, and also has 3.73 gears, but there is a ‘L’ between the ‘3’ and the ’73’. This means that it is a Limited Slip axle. 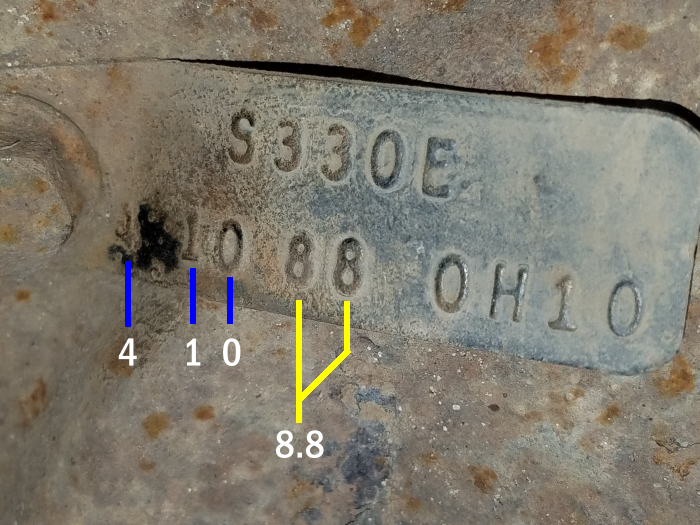 The tag above is from a 8.8 inch rear axle in a 2001 Ford Ranger 4×4 extended cab with 4.10 gears. 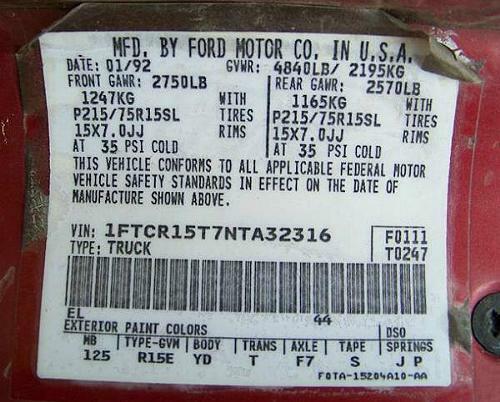 Another way to identify the axle in a Ford Ranger is from the Federal Compliance Sticker in the door jamb. If you look at the ‘AXLE’ section on the label above, you’ll see that this Ranger has a ‘F7’ axle code. 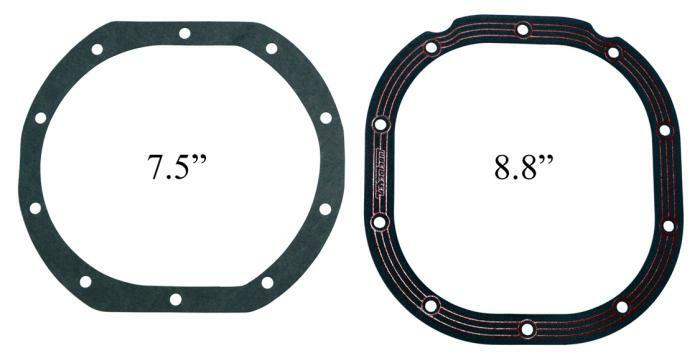 Using the chart below, we know that this axle is a 7.5-Inch axle with a 4.10 limited slip.